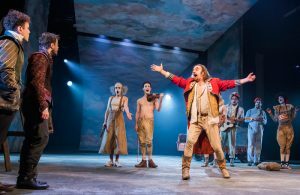 Tom Stoppard’s Rosencrantz and Guildenstern Are Dead is the ultimate fringe success story: a student production of an unknown play, abused by all but one critic, somehow finding its way from an empty Edinburgh hall to a National Theatre revival within a year, and pushing its author from minor playwright to household name in the process. 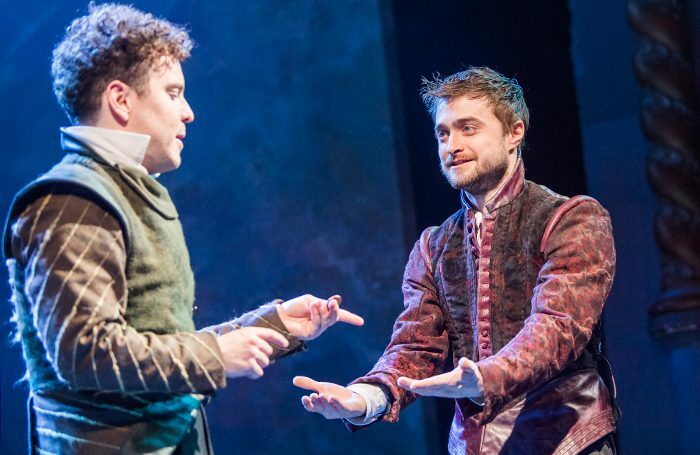 And now, it’s reappearing on the very stage it made its name at half a century ago as Daniel Radcliffe and Joshua McGuire star in David Leveaux’s 50th-anniversary revival at the Old Vic. Radcliffe has evolved into an engaging stage actor since his first performance as Equus at just 17. He’s pursued stage roles alongside his film work, appearing in the West End in The Cripple of Inishmaan, and in New York in How to Succeed in Business Without Really Trying and James Graham’s Privacy. McGuire has also balanced stage and screen, appearing in the premiere of Posh, as Hamlet in the Globe’s 2011 touring production, and as Mozart in Chichester Festival Theatre’s 2014 Amadeus. But are this Rosencrantz and Guildenstern up to the challenge of Stoppard’s existential labyrinth? Can Leveaux’s revival match the critical acclaim of Patrick Marber’s production of Travesties, currently lighting up the West End? Does Stoppard’s play turn fifty with grace and decorum, or is it suffering a mid-life crisis? 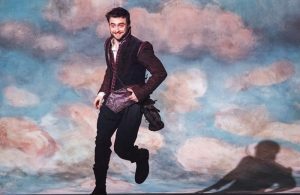 Radcliffe has made no secret of his desire to distance himself from Hogwarts and his determination to succeed in more adult roles. According to many, appearing as Rosencrantz (or is it Guildenstern? No-one seems quite sure) is another step in the right direction. So how do ‘D-Rad’ and, erm, ‘J-McGee’ fare here? They both prefer McGuire, Taylor writing that the diminutive actor “could have been born to give frenetic high definition to Guildenstern.” Shouldn’t that be Rosencrantz? Anyone? The play is undimmed then, and the cast superb, but does Leveaux’s production – designed by Anna Fleischle – hit home too? “The pacing is fleet, the timing slick, and memorable moments are in sufficiently plentiful supply”, asserts Cavendish, summing up the prevailing opinion succinctly. 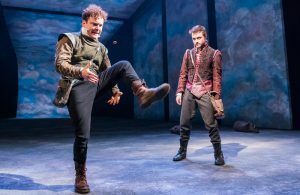 Rosencrantz and Guildenstern Are Dead – Is it any good? Stoppard’s play is, by most accounts, as dazzling now as it ever was. There are some that disagree, opining that the whirlwind of existentialist invention is a busted flush, but most think Rosencrantz and Guildenstern have the same exuberant intellectualism in 2017 as they did in 1967. And most think Radcliffe, McGuire and Haig are up to the tongue-twisting challenge in this four-star – that’s the average – show. How long will it remain so? Who knows? Perhaps we should flip a coin.